Is there a race on the calender that you alway find yourself lining up for? 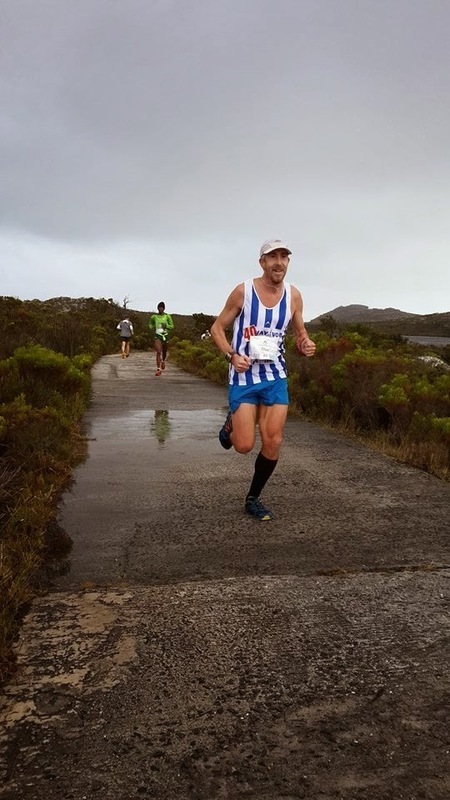 Well for me it is the Table Mountain 16km, a simple race up from Constantia Nek around the dams and back down, as easy as that... OK there is the little word "up" about 500m in the first 5km!!! It was a dark and stormy night... as a cold front rolled into the Mother City. Dawn decided to stay in bed as she thought there was a good chance that the race would be called off! (I would still run up) I left the house in torrential rain with the wind blowing it sideways!!! On the drive up to the nek the rain abated... But that didn't make the drive any easier, it was dark and the road was wet, and then... lucky I was driving slowly, there was a tree across my half of the road! 200m on there was then a tree across the other half of the road!! There's more, another couple of 100m up the road was another tree in the road, this time almost across the whole road!!! I think I was the first person to drive around (I don't have a big car). 2 of those trees had fallen in the last 30min!!! 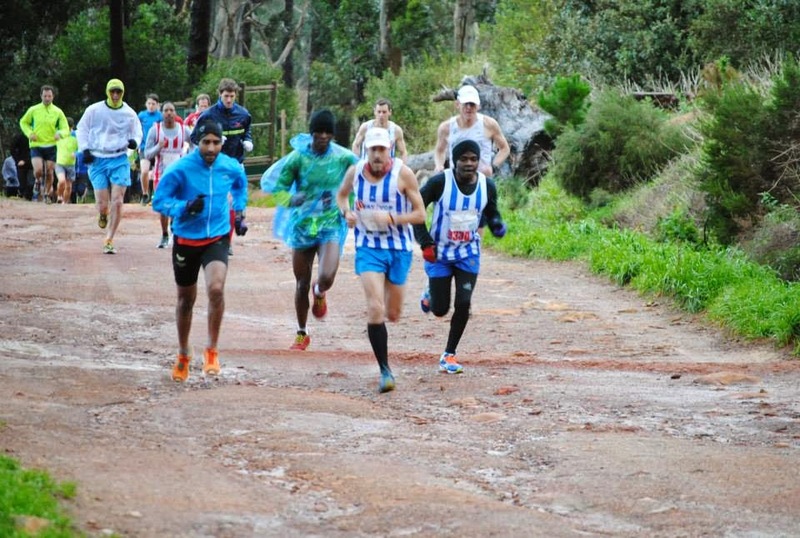 The brave race officials and Cape Nature people drove up the route to see if the race would be run, The call came through: GAME ON... the wait, we can't get down a tree has fallen down and blocked the mountain road!!! I was still in front about 45sec but slow (last year I was up in 26:40). I pushed on thinking I was running faster and maybe for me it was I didn't have another gear... Round the dam I looked back and I still had a lead, maybe just maybe the wind was hurting the other guys! The race was on and to open the gap more I didn't slow on the 200m single track over the dam wall, I was heading back. Oh dear I wasn't the only one on the wall!!! At this stage we join the up route and start back. Do they know what's wrong yet? 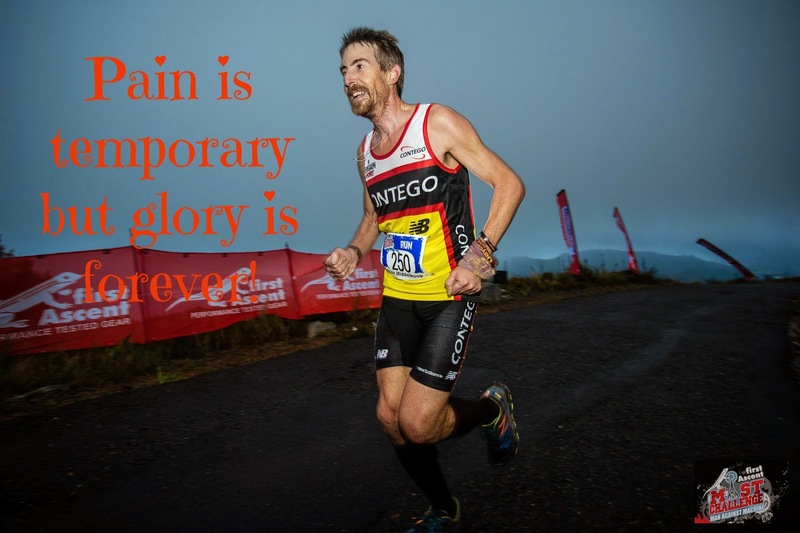 Finding out the source of the pain can often be a bigger pain than the pain itself. Hopefully they'll find it quickly and can fix it just as quickly.